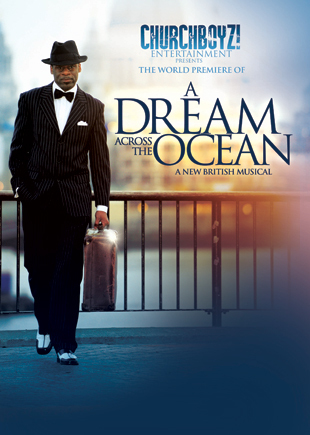 A Dream Across The Ocean is a musical that celebrates the faith and determination of the West Indian Immigrant community who were part of the ‘Windrush’ generation that came to Britain during the 1940’s 50’s and 60's. There will be another chance to see this heart felt performance under the new and innovative direction of Gay Nurse at the Hackney Empire on Saturday 20th and Sunday 21st July 2013. A Dream Across The Ocean tells the story of Winston Morgan, who leaves the Caribbean in 1960 and travels to London in search of a better life for his family. It follows his struggles as he endeavors to settle in the mother country and his lonely early years without Annie, the love of his life. It also tells of his enduring friendship with Patrick Mulligan, an Irishman who shares the rooming house that accepts them both when no one else would and how his faith and determination helps him to create a new life in a cold, strange land. A Dream Across The Ocean features a live band and music that was endemic to the era in which it is set, from Gospel to Ska, following the gamut through Reggae, Calypso and Soul music. The Windrush Generation: on June 22nd, 1948, the SS Empire Windrush first docked at Tilbury in Essex. Its arrival marked an important moment in the history of modern England. The steamship had stopped in Jamaica to pick up some of the thousands of servicemen who had been recruited to serve in the armed forces during the Second World War. They were joined on their life-changing Atlantic voyage by some 500 other Caribbean men and women keen to visit England. Over the years the ‘Windrush’ generation and their families - 500,000 migrants - have become integral to UK society. A Dream Across The Ocean is a story of triumph over adversity, an experience not to be missed.